How about this for a crazy, irresponsible idea? If you’ve got cancer, cut the amount of carbohydrates you are eating down to no more than 25 grams a day (that’s just under an ounce) as a way shrinking the tumour and boosting your health into the bargain. Out go pasta, rice, all sugars – cakes and biscuits of course – along with various vegetables, and you replace them with a big increase in such fatty foods as cheese, meat, eggs, coconut and avocado oils. The very idea of such a switch might be enough to give conventional nutritionists and oncologists heart attacks but hear me out because a few researchers have been coming up with some very interesting but little known findings that show drastically cutting carbs has a lot to recommend it. Not just as a weight loss diet but as an active treatment for cancer – as well as diabetes, heart disease and Alzheimer’s but they are another story. Many of you will recognise this as a form of Atkins diet that was usually promoted for weight loss but the idea of cutting out all sugar as a starting point for any cancer diet is something clinical nutritionists have been advising for years on the grounds that cancer cells are well known to use up glucose at a much faster rate than healthy cells. This is why the PET scans used to detect tumours, which track glucose consumption, can spot them. However even just cutting sugar was heavily attacked in a hostile Which? magazine report on nutritional therapists in January last year. ‘If cancer treatment were as simplistic as cutting out sugar,” commented Dr Margaret McCartney, one of the magazine’s panel of experts, “surely we would have discovered a cure. This advice is highly irresponsible. Well maybe. In fact several teams are researching the link between sugar intake and cancer growth. A couple of years ago Dr Anthony Heaney of the Jonsson Cancer Centre at the University of California Los Angeles (UCLA) published a paper showing that cancer cells could use fructose to increase their ability to spread. So cutting back on sugar is certainly not firmly proven nor the only treatment but it is far from ignorant or lacking an evidence base. What’s more, cutting off a tumour’s energy supply isn’t the only beneficial effect of dropping carbs right down. Way back in the 1930s researchers found that restricting lab animals’ calorie intake (as part of the general reduction they got fewer carbs) not only lowered their glucose and insulin levels and kept them very healthy but also made them live longer. Then in the 1990’s top American geneticist Professor Cynthia Kenyon established a clear link between calorie restriction and changes in a gene that controls insulin. She found that cutting the calories of worms made them healthier and longer-lived too. She also found that it reduced the activity of a gene that controls insulin called IGF-1. Further research has found it has the same effect in humans. Thanks for a great article, Jerome. And for this website – it’s just what we need to bring together those of like mind and spread the word in the UK. Omg just noticed you are hooked up with Patrick holford what are you thinking of? Oh and ignore comment ! Excellent – I have e-scribed. Agree – we all need this to spread the word further. Excellent article, and website. Will spread the word! I would like to believe it is that simple, but is it? Cannot cancer cells get their energy from the available protein (gluconeogenesis). But then maybe it is easier with protein ingested than with what is already part of a muscle? Jerome Burn “works mainly for the Daily Mail”. Is this the same Daily Mail that has a ‘daily health scare’? The one that peddles astrology, ‘The Bible Code’ and any alarmist health scare story going? If so perhaps this is good news as we can look forward to more reasoned articles such as the one above. I will keep reading (the blog not the Mail). I am a jobbing journalist – the Mail health pages runs some good features and, I would argue, has a better record on picking up on issues such as the excessive use of statins, the problems with Avandia and gross over-use of antipsychotics than the rest of what was once called Fleet Street. Do keep reading. Promise no Bible Codes or astrology. Nice summary – I thought for a page or two that you had overlooked Seyfried & Fine, but you got them. It’s worth mentioning that a ketogenic diet seems to be a generally worthwhile try, but is much less likely to work with prostate cancer than others. At least that is what I read (sorry, source, which was respectable, is forgotten, although I think Fine touched on that point). Looks like this should be a very useful site. You are right. Moreover you may know that people with the Laron syndrome cannot develop cancer, no matter how poor diets they eat. They are short of something called Free Insulin Growth Factor ( IGF-1 ) which halts their growth at a certain age (which resumes if they get the IGF-1). We have both IGF-1 and a Binding protein that controls it, IGFBP-. As the name implies IGF-1 is stimulated by insulin, and high insulin – or insulin resistance – can hence be a problem. The binding Protein also reduces on high blood sugar, leaving more free IGF-1. This whole area of IGF-1 is another side of sugar rich diet that whnen combined with tumors dependency on sugar as you wrote seem to provide make sugar and blood sugar increasing foods a double cancer whammy. Indeed drug companies have on the back of this created drugs to balance IGF-1, with side effects and all. For my part I will use my 5 cents to cut out most of the carbs! Yes the story about the Laron dwarves from Ecuador who don’t get diabetes or cancer is fascinating. I wrote about it in Chapter 6 of the book I wrote with Patrick Holford ’10 Secrets of Healthy Ageing’ and if anyone is interested in following it up in detail have a look at this: Sci Transl Med. 2011 Feb 16;3(70):70ra13. I guess it depends on which cancer your treating reading between the lines. Good article though, and one that would probably go down well on Peter Attia’s blog. I’ve no connecion with either, just read both, and now this one. Thanks for the point about Attia’s blog I’m a great admirer of his clarity and grip on the biochemistry. Yes I think Ornish has published on low fat and cancer and then there has been a lot on the web recently from Dr Nicholas Gonzales a NY physician who has been treating cancer patients with diet for a long time. 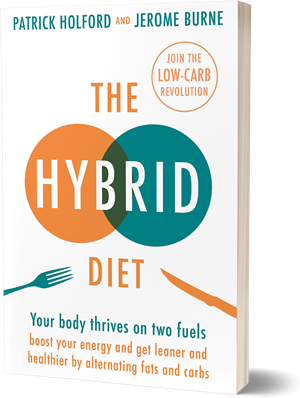 He has written a long piece – part of which you can find here -http://www.naturalhealth365.com/tag/ketogenic-diet – which sets out his ideas. He makes two points: firstly that different people respond differently to different types of diet – seems reasonable – and that he was a friend and colleague of Atkins who confessed to him that the ketogenic doesn’t work for cancer and that he was giving up trying to treat it and would be concentrating on weight loss. Atkins may contain too much protein to preserve weight loss after the usual first 6 months of success. Blood sugar is then produced from excess proteins via gluconeogenesis, showing up as higher morning readings despite even “zero” carbs intake. This affects weight loss badly and it keeps insulin from falling to ideal values, probably causing end of the road also for cancer treatment considering IGF-1 etc.. Try LCHF instead where proteins remain same or reduced and fats – natural fats – are increased. Lard, olive oil, coconut oil, butter and beef tallow are good fats. Omega 6 fats from vegetable oils are all inflammatory. Jimmy Moore broke stagnated weight loss turned to weight gain by reducing proteins drastically. According to Seyfried and D’Agostino, Pedersen and Young it will work effectively against all kind of cancers as the Warburg effect is a common denominator. But when gone into a far state of destruction by the cancers it needs also probably a another treatment together with this diet (3BP?). But heavely calory restriction and no carbs other than very low sugar carbs like green leavy vegetables and a healthy amount of exercise (HIIT and HIT) will surely have a very strong impact on the disease. Seyfried is not excluding any type of cancer yet. Nor is Dr Young with het 3BP treatment. Anyone else can give useful response on this. Diabetics are at raised risk for cancer, the very low carb ketosis diet looks promising as a supportive cancer treatment and there is genetic research showing that mutated gene for insulin growth factor causes dwarfism and a resistance to cancer. There is some interesting data I have seen where Type 2 diabetics on Metformin/Glucophage actually have a reduced chance of getting cancer. One of the “benefits” of being type2!